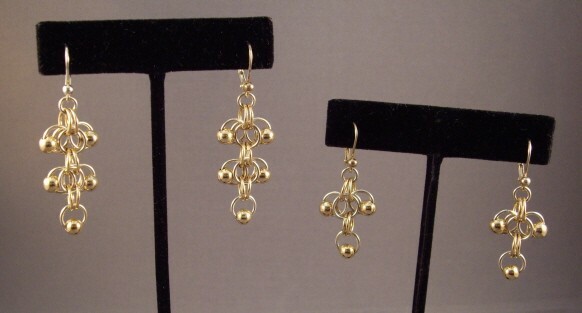 The Roosa with Gold Balls Earrings are a two tone earring that can be made in two different lengths. They are quite beautiful and flattering to your face. This is a beginner weave. The balls are supplied in the kit. Sterling silver plated leverback earring findings are included in the kit.